Disneyland and Walt Disney World both have FastPasses, but the systems are very different. Booking FastPass+ at Disney World is done online up to 60 days before you arrive at the park. Disneyland, up until very recently, had been a paper-only FastPass system. This meant you had to walk to a physical location to obtain a FastPass for each attraction within the park. In July 2017, Disneyland MaxPass was introduced. 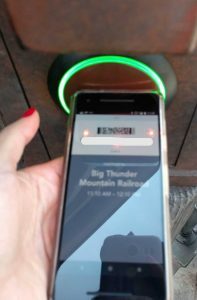 Disneyland MaxPass is a pay service that allows guests to obtain a FastPass from their phones using the Disneyland app. 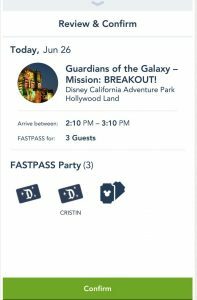 Are you looking for more information on FastPass+ at Disney World? Here’s a link to my complete guide. A FastPass is a paper or electronic ticket that gives you a reserved time to return to a ride and skip the regular wait. You can enter the FastPass queue any time during the FastPass window shown on your ticket . The FastPass line is shorter and allows you to ride the attraction with minimal waiting. How Does Disneyland MaxPass Work? MaxPass reservations work the same way as the traditional FastPass. The only difference is that FastPass reservations are made on the Disneyland App instead of a FastPass kiosk. With traditional FastPass, every park ticket must be scanned at a physical machine that dispenses paper FastPass tickets for an attraction. Since every attraction has its own kiosk, this can mean zig-zagging across the park to obtain FastPasses. Disneyland MaxPass is a more convenient version of FastPass but at an additional cost. 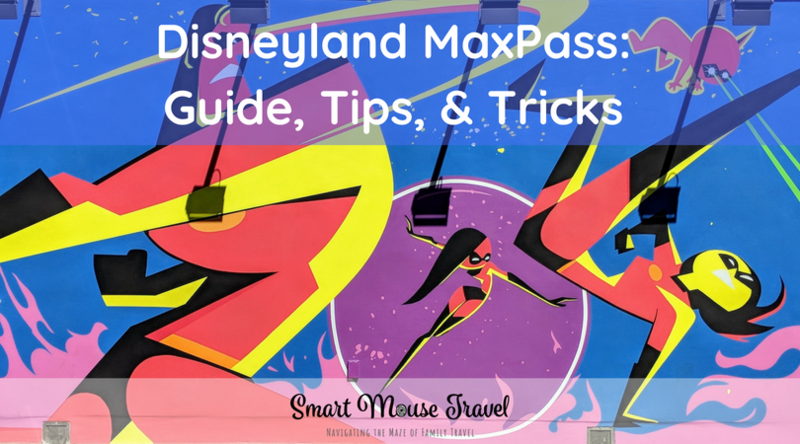 What Is The Difference Between MaxPass and FastPass? The terms FastPass and MaxPass can get very confusing. 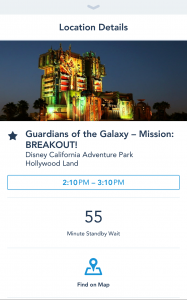 FastPass is the ability to return to a ride at a designated time to skip the stand-by wait. 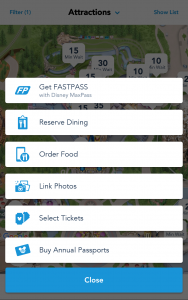 MaxPass is an electronic way to obtain a FastPass using the Disneyland app. What Rides And Shows Are Available On MaxPass? You can begin making MaxPass reservations as soon as your ticket has been scanned for entry into the park. This is usually when you enter Disneyland or Disney California Adventure at the turnstiles. I enter the park and then immediately step out of pedestrian traffic to secure our first FastPass of the day via the Disneyland MaxPass interface. Pro tip: If you take the monorail from Downtown Disney into Disneyland, your ticket is scanned before entering the monorail boarding area. This scan is done at the monorail station because you get dropped off inside Disneyland Park in Tomorrowland. On our Disneyland Park days I would make my first MaxPass reservation of the day waiting for the Monorail or on the ride. Disneyland and Disney California Adventure are directly across a plaza from one another. This makes it easy to move from one park to the other throughout the day. Because of their proximity you are allowed to make FastPass selections for either park once you have entered either. 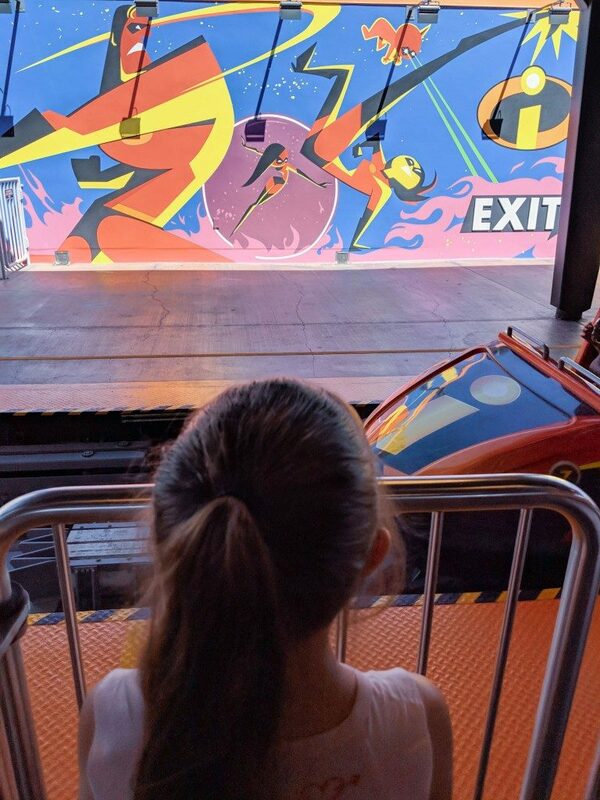 For example, we had Breakfast With Minnie and Friends at Plaza Inn in Disneyland, but I was able to make FastPass selections for Incredicoaster at Disney California Adventure while waiting to be seated. I am not an arrive-at-rope-drop person. If you are, then you are my hero. On a recent trip to Disneyland we arrived between 10am and 11am every day, and I still got most of the FastPasses I wanted each day. I admit that on the days we arrived earlier we had a much better choice of FastPasses and got to use more over the course of the day. 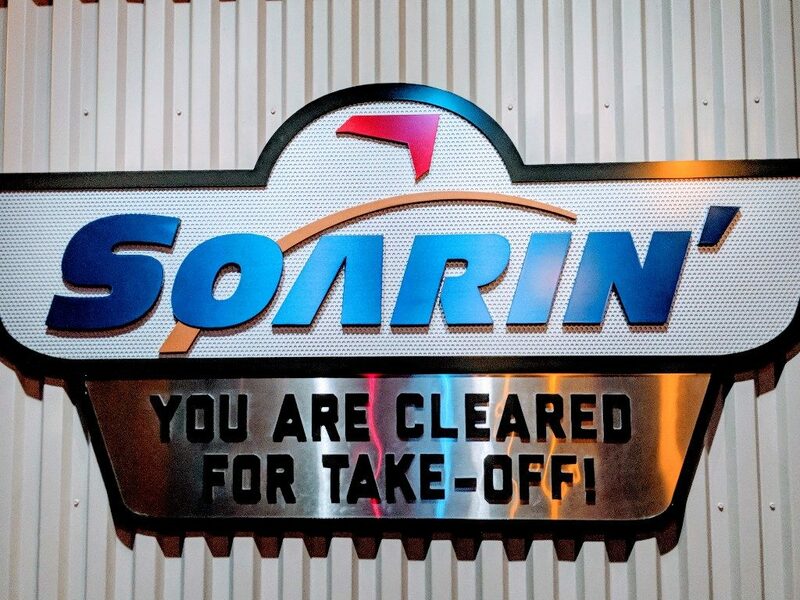 We used an average of four to six FastPasses each day during a trip right after Pixar Pier opened. When booking FastPasses you are usually allowed to hold only one FastPass at a time. However, you can book a second FastPass after you’ve used your first one or 90 minutes after reserving it, whichever comes first. The time you are eligible to book your next MaxPass is shown on your confirmation screen. To maximize our Disneyland MaxPass usage, I set a reminder alarm for the next FastPass reservation window on my phone immediately after booking. That way, I get an alert every time the booking window re-opens. This allowed us to hold multiple FastPasses via MaxPass. 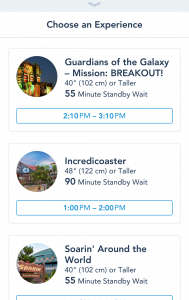 When making your FastPass choices on the Disneyland app, pay attention to the time available for each attraction. Attractions with return times far in the future are more likely to run out before the next window opens. A couple of times I gambled that if I picked up an earlier FastPass for one attraction, a more popular one would still have availability when my window re-opened. Sometimes it did and sometimes it didn’t. This was especially true starting around noon. For example, there were certain very popular attractions (like Radiator Springs Racers) that had return times of 7pm when I was scheduling FastPasses at noon. Although I didn’t love having a FastPass with a return time so much later in the day I would have missed out on it completely if I had not secured the reservation then. This is when scheduling an alarm is really important to pick up other FastPasses while waiting for the super-popular attraction return time. Disneyland MaxPass requires using your phone to make the FastPass reservations and for your ticket. You must scan your phone at each FastPass line to enter the shorter queue. All that, plus using the app to check wait times or restaurant menus, can use a lot of battery power. Here’s a link to the newer version of the charger I use (affiliate link: buy it on Amazon). What Does Disneyland MaxPass Cost? The Disneyland MaxPass cost is $15 per day per ticket. 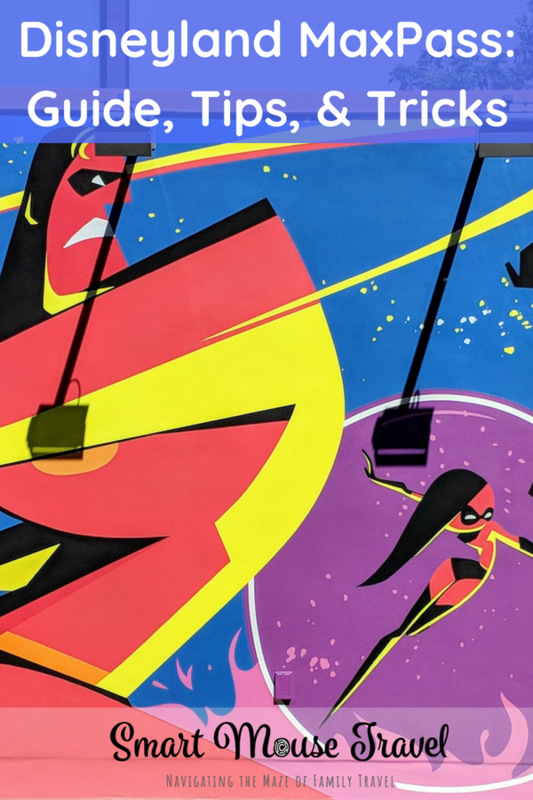 There is an option to add on MaxPass to some annual passes for $100 per year per ticket, and other annual passes have MaxPass as a built-in benefit. Check here to see if MaxPass is included with your annual pass. Is Disneyland MaxPass Worth It? The convenience of making FastPass reservations from your phone is amazing. I definitely used way more FastPasses via the Disneyland MaxPass system than we ever did with paper FastPasses. MaxPass also allows you to download all your PhotoPass pictures taken by Disney photographers in the parks. This is a nice perk, but if you are usually a Disney World visitor you may notice fewer photographers at Disneyland. My only real disappointment with Disneyland MaxPass was the limited number of attractions that have FastPass lines. The first day in each park, we got all of the FastPasses that we really wanted. On our return days to the same park, we ended up booking fewer FastPasses because we only wanted to repeat a small number of the rides. This said, I still intend to add MaxPass to my husband’s park ticket when we visit, because I loved the convenience of booking our FastPasses on my phone. I would definitely recommend using MaxPass if you have limited time to visit Disneyland. 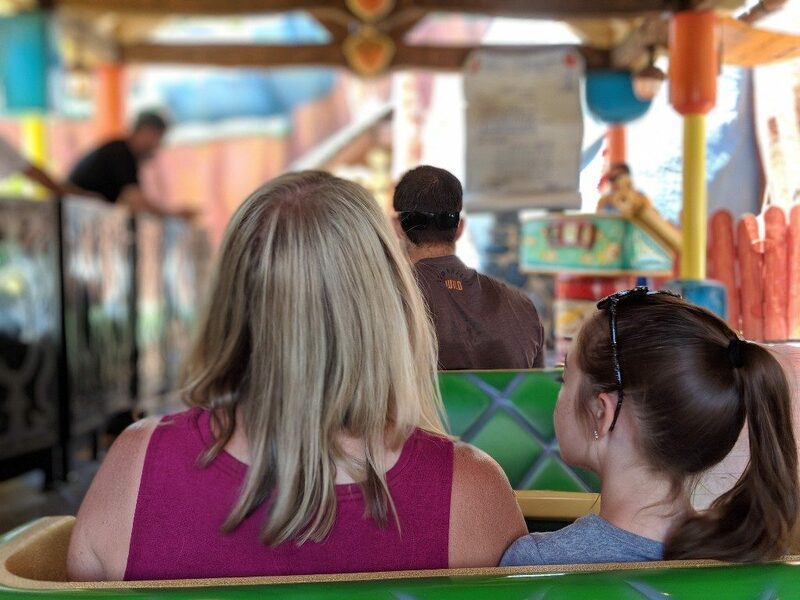 MaxPass allows you to make the most out of your park time. If you have a large group or are going to Disneyland for many days, $15 per day per ticket can really add up. You may only want to add it to everyone’s ticket for one day and see if you think you need it for additional days at the park. I would also recommend it as an annual pass add-on if you intend to visit the parks more than 8 days in the calendar year. Download the Disneyland app. You need to sign in or create an account to use the app. Link your tickets. Under “Park Info & Entry” touch the “My Tickets” icon. Then touch the blue circle with a white plus sign in the top-right corner. Now you can either buy tickets, buy annual passports, or link a ticket. If you already have your ticket, touch “Link a ticket or pass”. You can either use your phone camera to scan the barcode or enter the ticket code using the keyboard. Begin creating a FastPass reservation. 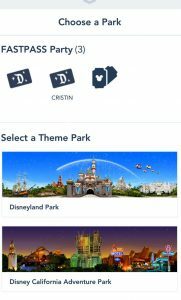 Touch the blue and white plus-sign icon at the bottom of the Disneyland app home screen. 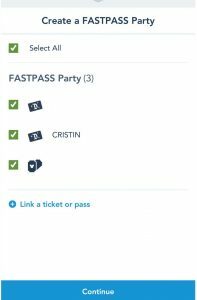 Create a FastPass party. Everyone that has linked tickets to your account will be available. Choose which members of your group will be obtaining a FastPass. Then touch the blue “Continue” button at the bottom of the screen. Choose a park. Touch the icon for Disneyland Park or Disney California Adventure Park. Choose an experience. Scroll until you find your preferred time/attraction. Then touch the time window to choose the FastPass. Review and Confirm. You will have a final screen that shows the attraction, arrival window, and which guests have this FastPass. Touch the green “Confirm” button at the bottom of the screen to confirm your choice. Use the FastPass. 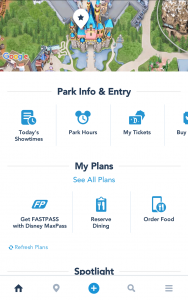 When it is time to use your FastPass, open the Disneyland app and touch “See All Plans” on the home screen. Choose the current FastPass, and touch the blue “Redeem FASTPASS” button to show a barcode. Scan the FastPass. Scan the barcode when entering the FastPass queue. 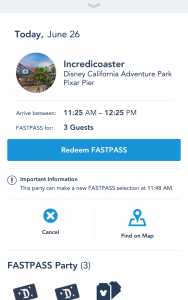 If you are redeeming more than one FastPass, just swipe across your screen to access the other FastPass barcodes for your party. Spend less time in line! Disneyland MaxPass is a great way to obtain FastPasses without having to zig-zag through the parks. I found that we used far more FastPasses with MaxPass than we ever did with the paper FastPass system. However, if you have a larger group or a longer visit you may want to have MaxPass for only some of your days. And remember on the days you have MaxPass, take lots of pictures with the Disney PhotoPass photographers to get the most out of your included photo downloads! Thank you! I found that booking right when our window opened really helped us to maximize our FastPasses.